Find here the best Hat Country LLC coupons and deals. 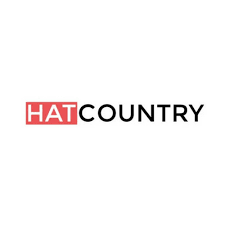 Hatcountry.com is an online hat, boot, & western wear retailer that has been operating online since 2003. Although we began specializing in cowboy hats, we also offer a wide variety of other hats such as fedoras, flat caps, ball caps, bucket hats, and sun hats for men, women, and children. We carry the top brands in the industry: Stetson, Resistol, Charlie 1 Horse, Bailey, HOOey, Jack Daniels, Kangol, 47 Brand and more. HatCountry.com also sells cowboy boots, clothing, and accessories for the whole family. We have a strong history of great customer service and an excellent reputation.